Crowdfunder DomaCom has announced plans to list on the ASX and aims to raise $10 million in its initial public offering. 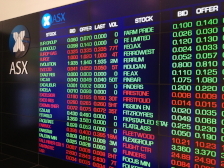 DomaCom lodged a prospectus with ASIC on 24 June and subsequently made a formal listing application with the ASX. Applications to invest are also now open. Chief executive of DomaCom, Arthur Naoumidis said he is confident the $10 million target will be reached, adding that the minimum raising of $5 million has been underwritten by new and existing shareholders. “We have created a lot of public interest around our fractional investment platform, especially our high-profile bid for the land component of the iconic Kidman Station, and we are confident this will translate into investor interest in DomaCom,” said Mr Naoumidis. Mr Naoumidis said the capital raising will give DomaCom a strong financial base, “putting to rest any concerns about [the company’s] ability to manage a find and deliver new products to the market”. The prospectus for the offer can be accessed on the DomaCom website.